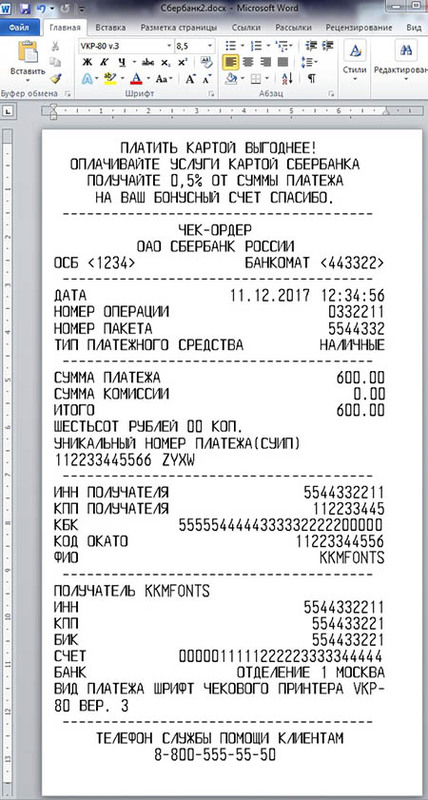 The fonts of the VKP-80 check printer (version 3), which is installed in many payment terminals, in particular, SBERBANK OF RUSSIA in the format OTF (Russian and English letters) for use in Microsoft Word. The archive contains normal and wide fonts in OTF format and check patterns. You just need to install the fonts in the system (usually C: \ WINDOWS \ Fonts), open the template and start editing.